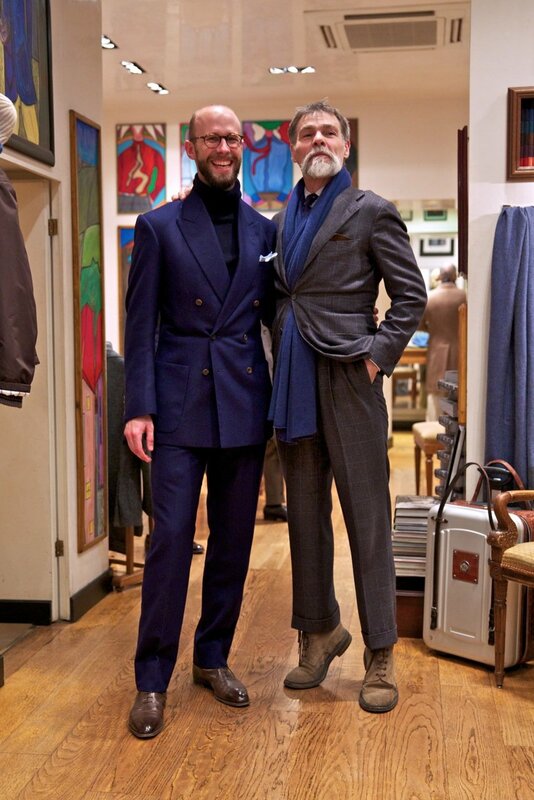 Next year I will publish a travel guide to the best men's stores around the world, with Thames & Hudson. 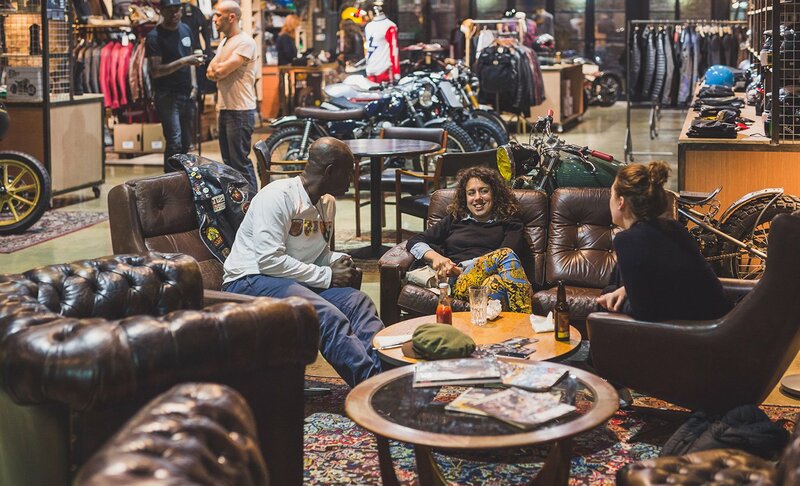 Alongside the city chapters there will be interviews with well-travelled people in the menswear industry, highlighting their tips and insights. This is an extract from Wei Koh's chapter in the book. 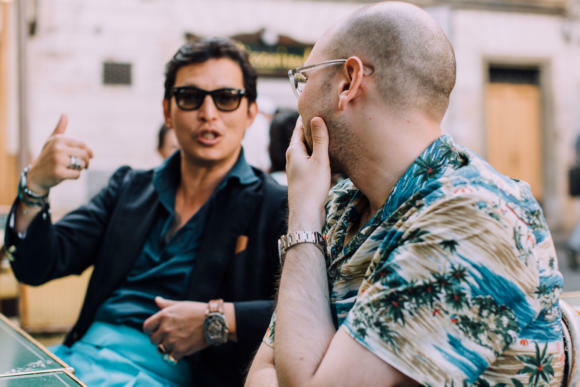 Wei Koh, the founder of men’s luxury magazine The Rake, is one of life’s nomads. He travels the world for work and pleasure, often visiting the best bars, shops and artisans. Here he gives us a few of his favourites, from the world of menswear and further afield. Permanent Style: How do you see the world of luxury retail around the world? 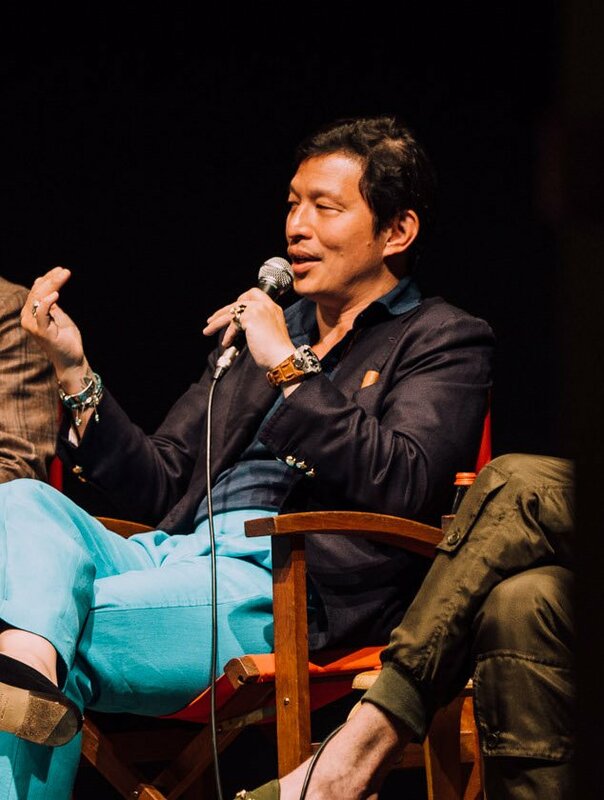 Wei Koh: I think menswear has grown very fast in recent years, and that has created an issue where you have the same shops selling the same thing in every city - which can be a little demoralising. It has led to the loss of some great stores. 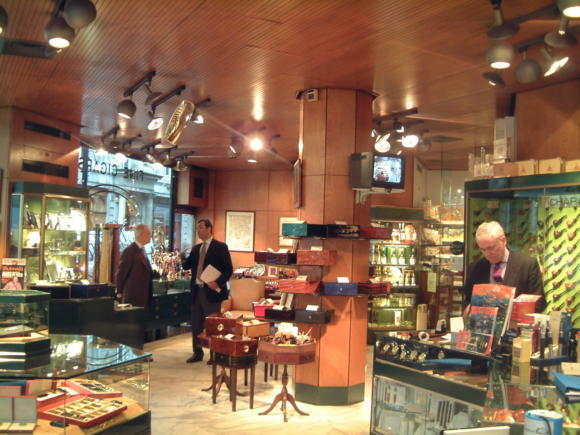 One was cutler G Lorenzi in Milan, which sold some of the finest accessories you could buy, but still had the character of a local store. Via Montenapoleone isn’t the same without it. There are still a lot of those shops around, but you worry how long they’ll last. Talarico umbrellas in Naples, for instance - it produces some wonderful hand-worked umbrellas, but Mario Senior, like many artisans, is getting on and you can’t see his son taking over the business in the same way. Do stores like that have to adopt modern communication methods? Or is it enough just to consistently produce a great product and rely on word of mouth? I think there is enormous potential in the former, but you can certainly still rely on the latter. An example I love is the jeweller Nardi in Venice. Part of their charm is the fact they are so little known. Back in the 1950s they were considered one of the world’s great jewellers, but their profile gradually fell over the years. Even if I don’t go to buy anything, I always visit when I’m in Venice just to get away from the general sales and marketing that surrounds big jewellery generally. 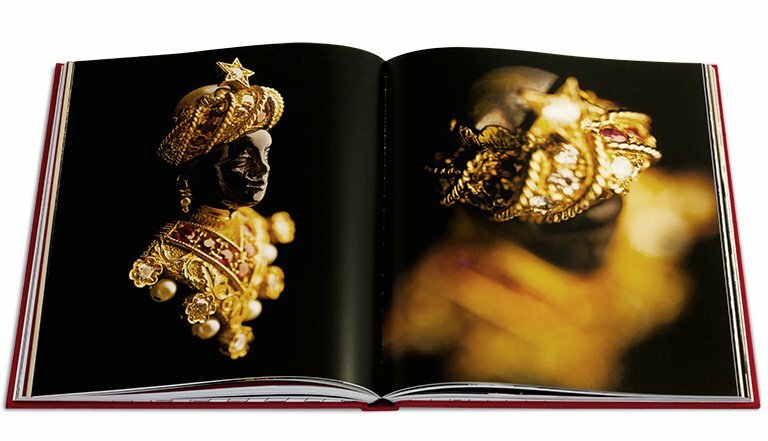 The Venetian style of jewellery is very distinct - an almost byzantine combination of Italian and Eastern styles. Are there any other jewellers you visit? I’m a big fan of rock ‘n’ roll jewellery, and there are some great places around the world - like the The Great Frog (which is now in the UK and a few US cities) or Crazy Pig in Covent Garden. I’ve just commissioned a gold skull ring from the latter, in a yellow gold that is the same shade as my vintage Omegas and Rolexes. I like visiting motorbike shops too, and one of the best is The Bike Shed in London’s Old Street. You can buy an amazing motorcycle there, but also great memorabilia. Well The Real McCoy’s is up there - they probably make the best leather cycle jackets. A Japanese company but with a shop in London, they’re obsessive about recreating old jackets and styles. And Freewheelers is also good - a bit more niche and unusual. 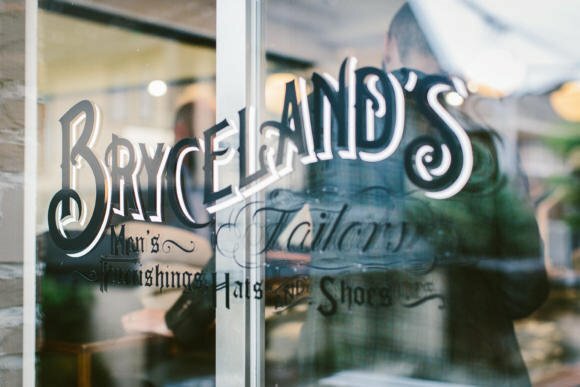 The Japanese are very good at these vintage creations, but I think everyone who ever goes to Tokyo should also visit Ethan Newton’s shop, Bryceland’s. He’s got such extraordinary taste. All of his brands are at the highest level of artisanship, but also fit into Ethan’s view of the world, which is nicely quirky. 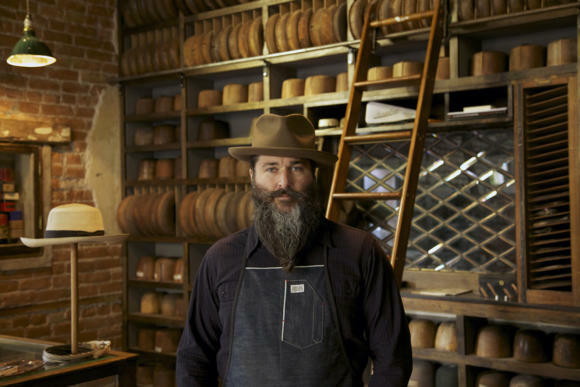 He has Liverano and Ambrosi, and even turned me onto an exquisite hatmaker called Tatton Baird in Springville, Utah. How much do you think a destination shop like that has to be driven by a single personality? To a great extent, I think. People talk about going to these shops to experience the place, but for me it’s a lot about experiencing the person as well. The shop is really an expression of that person’s perspective on the world, and the things in it the objects they have decided to populate it with. Simone Righi in Florence is a favourite. He used to run Tie Your Tie but now has his own shop, and I go in there once in a while just because it’s such a cool place. I never go with the idea of buying anything specific. I usually just ask Simone, ‘What do you think I should purchase? What would suit me?’. He’ll pick up a tie, or a scarf, and it will perfect. That’s the kind of personal service you can never get online, no matter how well it’s curated. Mariano Rubinacci is good that too - at picking things out specific to my taste and lifestyle. He will often suggest tie/combinations of ties and pocket squares that I would never think of, but immediately work. Half the fun is putting yourself in someone else’s hands. I’d include Lino Ieluzzi too, from Al Bazar in Milan. Everyone goes there to hang out with Lino because he’s so welcoming. I can’t count the number of coffees and conversations I’ve had with Lino over the years, yet I’m convinced he doesn’t speak any English! I always leave with a something small - it’s the best souvenir. You seem to have a particular fondness for places presided over by entertaining people. Absolutely, which is why I think it’s such a good idea to highlight shops like this. That experience can never translate online. Other places I’d include would be Marinella in Naples. So small and basic, but it’s lovely talking to Maurizio [Marinella]. And Charvet in Paris. Whether you like their style or not, it’s always worth a visit. 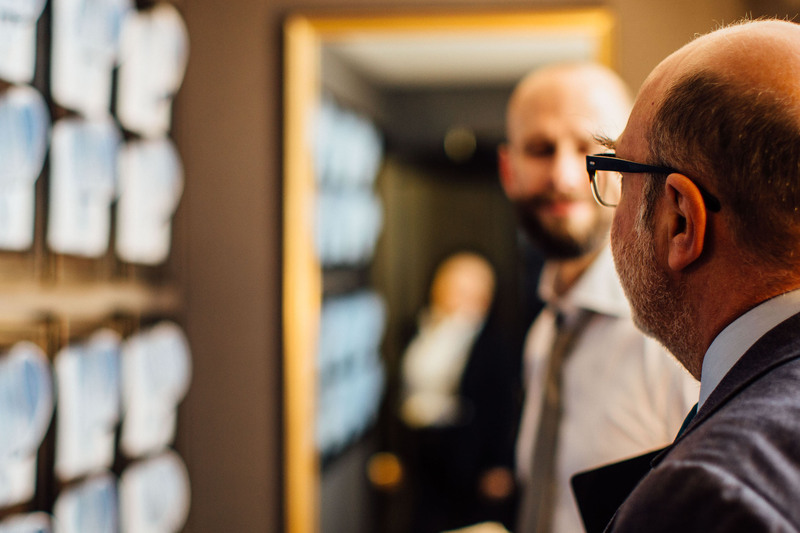 Do you think the best shop owners are similar to bespoke artisans, in that a key skill is understanding customers on a personal level? Yes, it’s very similar. As a man you have a vision of yourself, what you like to wear and how you want to come across. 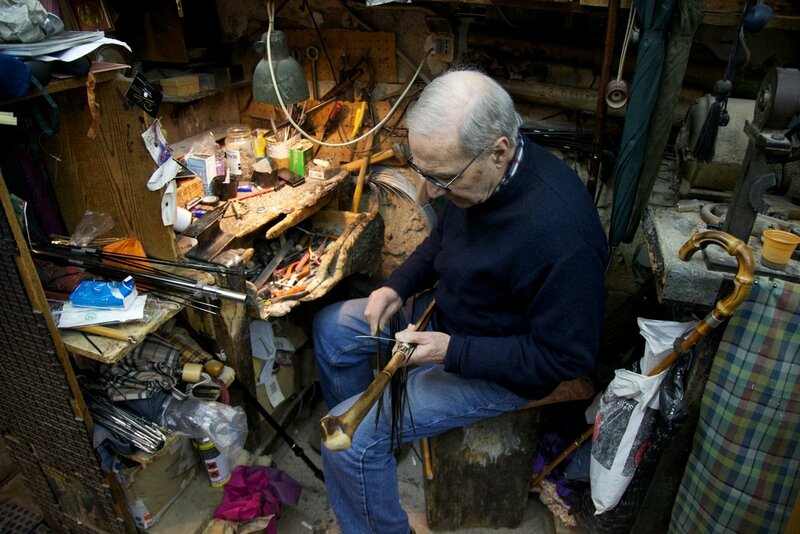 You have to trust the person helping you do that, whether it’s a tailor, a shoemaker or a curator in a shop. Trust is key, and it’s a very delicate thing. Each time they recommend something, or make something, it will reinforce that trust or damage it. Can you say what your favourite place is in London? Probably Davidoff - I always have to go whenever I’m around. Edward and Eddie [Sahakian] are just the kindest and warmest human beings. 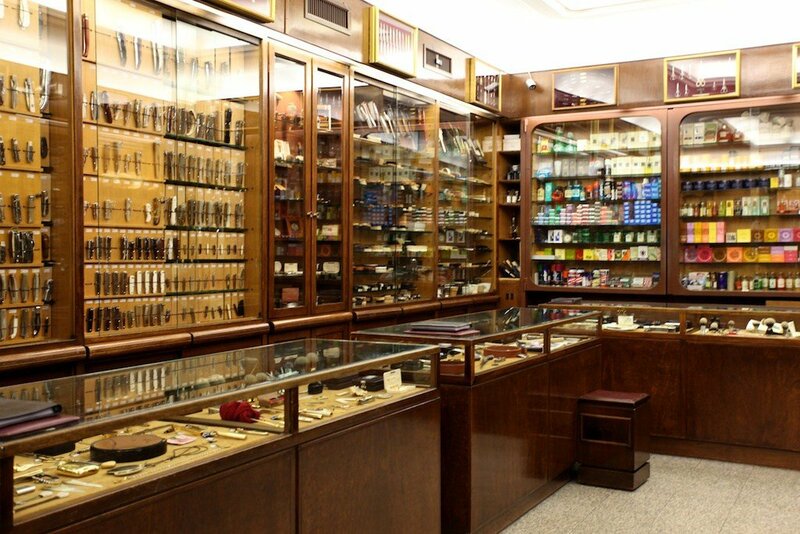 If I have nothing else to do I will always wander in, and there is no greater pleasure than spending 10 or 15 minutes there, having a chat and picking a few cigars. Just like the good wine shops, they not only curate the new things but collect the best vintage examples as well. I think the thing to remember is that the very act of shopping is unnecessary. None of us need these things; any essentials can be acquired quickly and easily online. The act of shopping is all about experience, from beginning to end. That is what will keep all these independent stores going in the long run. You can follow the discussion on Where and why I shop: Wei Koh, The Rake by entering your email address in the box below. You will then receive an email every time a new comment is added. These will also contain a link to a page where you can stop the alerts, and remove all of your related data from the site. “I think the thing to remember is that the very act of shopping is unnecessary. None of us need these things; any essentials can be acquired quickly and easily online. I think this could be put in a frame and given to any person thinking about opening a retail location. Just great summary of the current world. Too true. This is a brilliant summation. The character that has been ironed out of some wonderful brands by the LVMH & Richemondt acquisition trails is truly depressing. I have three watches (Rolex, IWC, & JLC) . The only one that offers a decent, meticulous service is the independent Rolex. The other two were bought long ago when the brands were independent. Now when anything requires fixing or servicing, I dread the ordeal. That has to be the mantra for any discerning shopper. My companion and Style advisor, Jason King, has a nose bleed every time he walks down Bond Street. That quote is truly BRILLANT !! If anyone retail of any kind wants to know how to challenge / compliment the web shopper then that quote is your mantra ! Great interview. I am a huge fan of Wei Koh. I shan’t pass judgement on Wei Koh (good luck to him – he’s a businessman), but The Rake is hardly something to be admired. It has created a massive following of hungrily aspirational men, and given them their own space, and made them into the icons of our time. Now it’s chock-a-block iGents everywhere you look. Remind us again please, what exactly is wrong with aspiration or dreams or desire ? 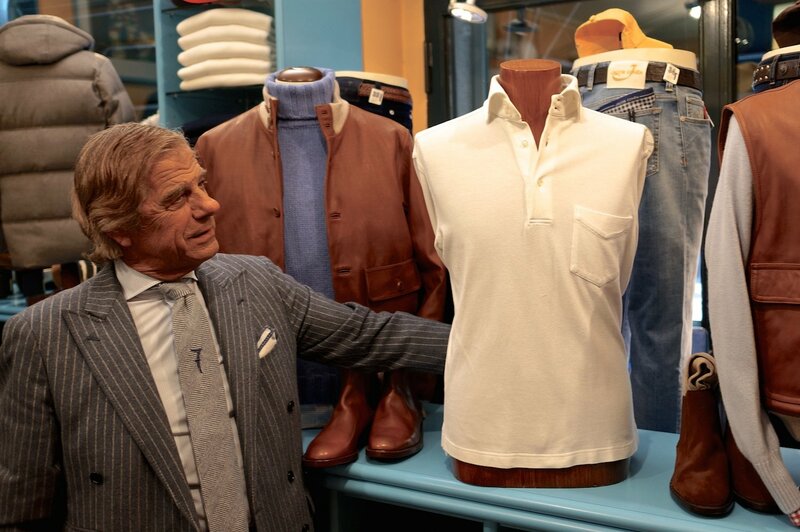 Hi Simon, unrelated question here – I am having a few pairs of lightweight linen trousers tailored and it occurred to me that I should have them hemmed a touch longer as they will wrinkle and ride up throughout the day. Have you encountered such “wrinkle shrinkage” and if so, how much additional length would you add to account for it? I had imagined 1 cm but wanted to get your thoughts. Thank you very much Simon, that’s helpful. On the vexed subject of (ahem) which side do you dress, do you offer a nonchalant response eg left or right, or do you let the tailor judge for himself? And if he is kneeling facing you, are you supposed to answer left as per his left, or left as per yours, which would be his right? Would it be more obvious to your tailor if you were wearing looser trousers, eg linen, than it would be if your were in more formal worsteds or flannels? Is that you in the last picture? If so, Magnum P.I. would be proud of the shirt! This is an excellent and, more importantly, very informative article Simon, thanks for sharing. I am genuinely intrigued about the upcoming guide, any indication on dates. I ask selfishly as this would make a perfect holiday read for me next year! another unrelated question: Will you restock the PS square scarf, that you created with Begg, at some point in the future? I would love to buy one. Also, why not try something with a subtle pattern this time? I love the ‘fleur de lis’ print that Begg does for example. Wouldn’t that be quite a nice fit for the square scarf as it is intended to go with monochrome knitwear? Anyways, I’d love to hear from you regarding any future cooperations with Begg. A clarifying question about your “made in” philosophy. I’ve noticed, increasingly, that part of your mission is to disabuse people of their “made in” (country of origin) snobbery. That readers (and the general public) shouldn’t fixate on where a jacket or pair of trousers is made. Often readers have turned their noses up at garments made in India (which is changing, of course), or those made in China (also changing, in some instances). 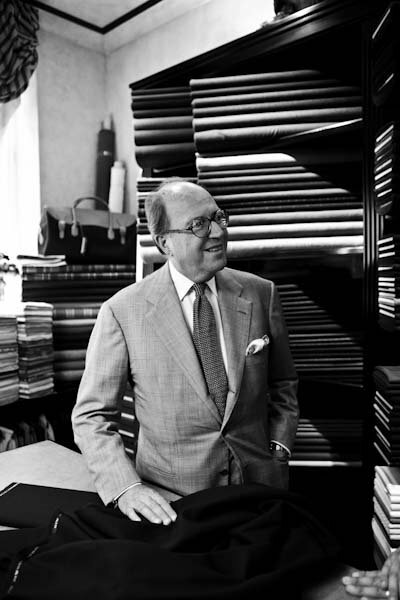 While you admonish your readers to stop fixating on where something is made (because the level of craftsmanship in many of these places has radically improved with time), you are also very concerned about the house-style of a particular tailor, or (in the case of houses like Leonard Logsdail) whether the suit is finished in NY, London, Italy, or India. In other words, provenance seems to matter a great deal to you – and you have specific, well-articulated beliefs about what part of Italy can make a specific type of shoulder (or garment), and since you have so many of your clothes made in London, or Italy, why doesn’t it matter “where” things are made, more than ever? Is this a case of cognitive-dissonance, or something else? A big part of the answer is that in my experience it rarely turns out well when you ask an artisan to do something they are not very experienced at – which is why I encourage people to stick to a house style. Otherwise they risk paying a lot of money for something that isn’t quite right. Simon, thanks for the informative and interesting article. Just wondering what you think of the following regarding independent stores. Do you think that Mr. Porter is having/will have the same effect on small independent fashion retailers as Amazon is having on the general retail scene? I too fondly remember G Lorenzi when i first visited in the late 70″s while working for Neiman Marcus and one of the Lorenzi’s would come to Dallas for the Cutlery Show. There collection showed how important it is to edit selections. Thank you for sending me your post. I find your motorcycle comments interesting; I have had a 1979 Harley Sportster and 2 1978 Harley Electraglides, a 1982 Harley Electraglide, a 1995 E’Glide and my current 2005 Electraglide. I have a”worn out” Cal Leather” Jacket and currently have a Lost World horsehide to try to keep safe. If you could suggest a blazer, I would greatly appreciate it; best wishes and thank you for the post. Be careful riding your Triumph! My friend had a new 1949 Triumph when I had my 1938 Indian Scout! The first time I read The Rake I thought it was satire. He’s right about the experience thing but also with clothes you can’t beat trying stuff on. You are right about trying stuff on. I find “ready made stuff” to be more appropriate than the tailor made stuff due to being able to try it on. My problem is that the current stuff for sale with skinny lapels just isn’t my preferred look. Good luck finking what suits you. Best wishes. An interesting article, as well as perspective. I like how Mr Koh simply likes shopping and often indulges on a whim. I think this is possible on any budget and is a worldview. This all got me thinking about spending in general. Can you tell us, Simon, how much in terms of percentage of income (both disposable and overall) do you think it is sensible to spend on clothes? For a person who needs to dress in a suit and tie, but also likes it and likes to have good quality casual clothes as well, in line with the styles generally featured here. Or rather, if you don’t mind sharing, how much do you spend? To dismiss any thoughts of attempted invasion of privacy, I’m asking about percentages, not absolute numbers. I’m trying to find the right balance, as sometimes I spend what I think is too much one month and than I feel bad and don’t spend nearly as much later on and than regret missing out on some stuff. I’d like to have an understanding of how other, more experienced enthusiasts are approaching this issue and finding the balance. Thanks! Thanks Stephan. It is a hard thing to calculate if you’ve never done it before (I should generally keep better track of my finances!) but I can have a go at some point. I do think it’s also best done as a percentage of disposable income, as total can vary so hugely – eg if you have a large mortgage, or lots of children etc. Don’t you think? I may add some U.S. Destinations to Mr. Koh’s list. We have O’Connell’s men’s store in Buffalo. The Andover shop in Massachusetts. Paul Stuart in NYC. Anto in Beverly Hills. Unbeatable customer service and American classics that cannot be found in Europe such as 3 button sack suits, Oxford button downs. Tatton Baird is a fantastic hat shop and we’re very lucky to have them in my home state of Utah. What isn’t widely known however is that their master hatter was trained by a gentleman named James Whittington who ran his own hat shop in Salt Lake City until his death in 2017. James trained almost 30 other hatters worldwide, created and built his own tools for the job, and his store is still operating under new ownership. Therefore Utah has two world-class hat shops operated by the students of one of the industry’s greats.